Kindly reminder: to avoid Automatic synchronization of your iPhone, iPad or iPod touch by iTunes, you can keep the Shift and Ctrl keys pressed when you launch iTunes, which can prevent your iPhone from being automatically synced. Step 1: Connect your iPhone to your computer via USB cable. Step 2: launch iTunes and start the sync process, which includes making a backup. However, if your iPhone isn’t set to auto sync, continue on to Step 3. 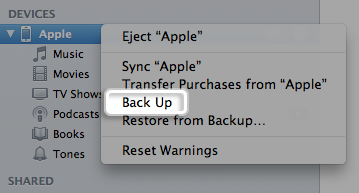 Step 3: in the Backups section, click the “Back up Now “button. Depending on how long it’s been since your last backup, this might take 30 seconds or several minutes. Either way, that’s it, you’re done. 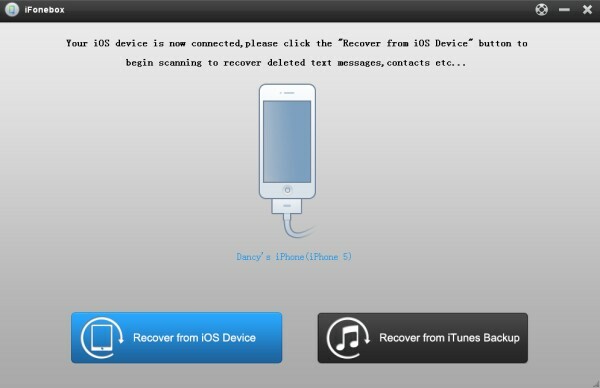 Backup iPhone with iCloud ,You must have activated iCloud account with your Apple ID.does. iCloud provides 5GB of free storage for photos and videos, device settings, app data, messages, and ringtones.The advantage to this is it does it automatically if you are connected to wifi. 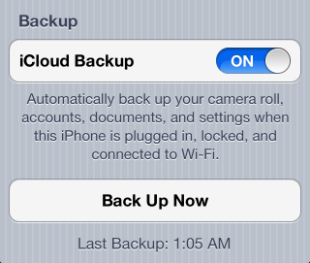 iCloud automatically backup the most important data on your iOS device. You can enable it by launching the Settings app from the Home screen and navigating to iCloud > Backup & Storage and tapping on the iCloud Backup On/Off toggle. You can also back up manually whenever your device is connected to the internet over Wi-Fi by launching the Settings app and navigating to iCloud > Storage & Backup and tapping on the Back Up Now button. Advantages: You can preview and selectively backup what you want on your iPhone to save them on your computer like messages, contacts, photos, notes, etc., which you can’t do with iCloud and iTunes. 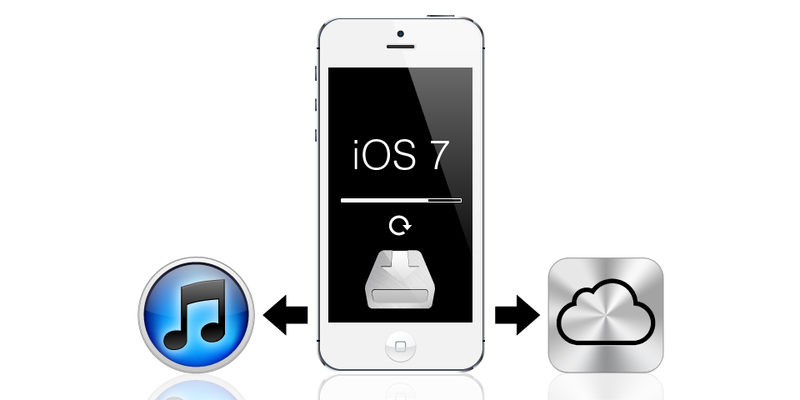 Now, let’s follow the guide of how to backup iPhone data before iOS 7 upgrade with iFonebox (Windows). Working with the Mac version is actually the same. 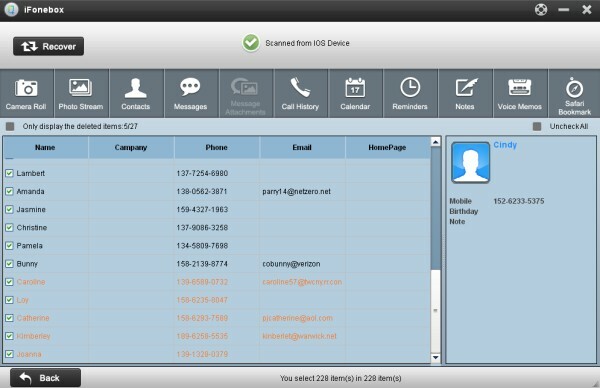 The software will automatically scan your iPhone to find out and analyze all the existing and deleted files. After the scan, all data found on your iPhone will be listed and displayed in the scan result,just click the categories on the top side of the window like camera roll, contacts, messages, notes etc to check which you want to backup and which you don’t. Tick off those you want and click “Recover”. Now you can save them on your computer with one click. How to recover iPad lost data after factory setting restore with or without iTunes backup? This entry was posted in iPhone and tagged backup iPhone data before iOS 8 update, iOS 8 by IosdroneD. Bookmark the permalink.